On Wednesday, April 1, 2015 the Sarasota Earlye Musicke Consort will be performing for the third season in a row for members and guests of the Historical Society of Sarasota County. The program will be presented at the Crocker Memorial Church in Pioneer Park, 1260 12th Street (between US41 and Cocoanut Avenue) beginning at 7pm. This is a viol de gamba! 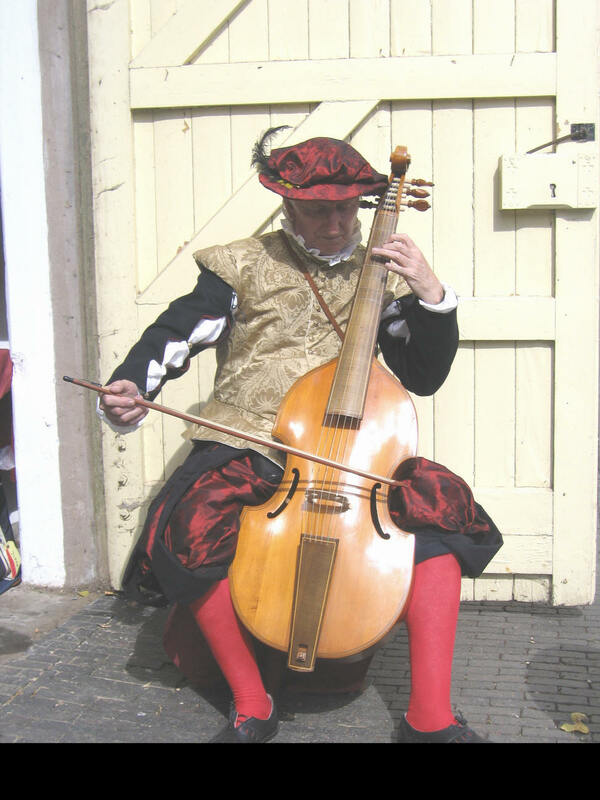 The members of this consort, performing in period costume, play music dating from the 14th century to the 21st century on recorders and viols. This concert is free for HSOSC members; a $5 donation is requested from guests. The group is led by Charlotte Trautwein. This entry was posted in Our Historical Peers, Participate and tagged Crocker Memorial Church, Sarasota, Sarasota artists. Bookmark the permalink. ← Could YOU survive a shipwreck of the Atocha in 1622 Florida?